Steven Buday the Vice-President and Technical Director at Plymouth Technology will be presenting on Alternative Methods of Treatment and Disposal of Electrocoat Paint at ECOAT16. Plymouth Technology’s latest superabsorbent polymers have been shown to absorb up to five-hundred times their weight, reducing costs associated with the dewatering and detakification process and helping customers meet even the most stringent federal, state, and local water discharge limits. Director of Sales Tim O’Mara will also be in attendance to support the event hosted by the Electrocoat Association and Products Finishing Magazine. 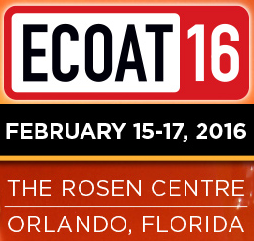 For more information regarding ECOAT16, The Electrocoat Association, and Products Finishing Magazine, head to http://www.ecoatconference.com. 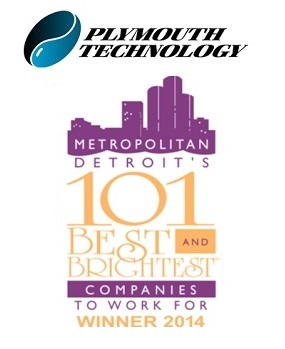 Founded in 1991, Plymouth Technology, Inc. of Rochester Hills, MI., is a leading provider of industrial water and wastewater treatment chemicals, equipment and consulting services. The company specializes in delivering customized solutions with on-site service for water, energy and waste minimization, water reuse and environmental compliance. Introduced in 2004, Metals Removal Systems™ are in use throughout the United States enabling industrial manufacturers to reuse process wastewater and reduce operating costs. Plymouth Technology is a nationally certified Women’s Business Enterprise. For more information, visit http://www.plymouthtechnology.com.